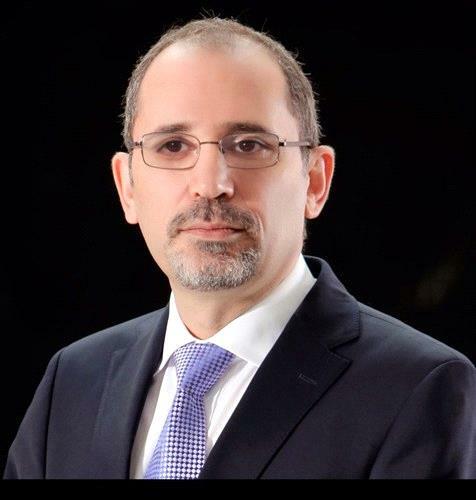 AMMONNEWS - Jordanian Foreign Minister Ayman al-Safadi on Tuesday warned of “dangerous repercussions” and a possible arms race in the Middle East unless a political solution was found to free the region of nuclear weapons and other weapons of mass destruction. Al-Safadi spoke in Germany before an expected announcement by U.S. President Donald Trump on whether he will pull out of the Iran nuclear deal or work with European allies who say it has successfully halted Iran’s nuclear ambitions. Al-Sadadi said he did not know what the U.S. president would do, but urged continued conversation and dialogue with Iran, despite what he called widespread concerns among Arab countries about Iran’s “interventionism” in the region. “We all need to work together in making sure that we solve the conflicts of the region ... and strive for a Middle East that is free of all weapons of mass destruction,” he told reporters after a meeting with leaders of Chancellor Angela Merkel’s right-left “grand coalition” government. “If we do not look at the political picture and ... find a way to ensure that the whole region is free of (these weapons), we’ll be looking at a lot of dangerous repercussions that will affect the region in terms of an arms race,” he said. In March, Saudi Arabian Crown Prince Mohammed bin Salman told CBS news that his kingdom would “without a doubt” develop nuclear weapons if Iran, Riyadh’s arch foe, did so. Israel is widely believed to be the only nuclear-armed state in the Middle East, although it neither confirms nor denies possessing atomic weapons. Trump has consistently threatened to pull out of the 2015 agreement because it does not address Iran’s ballistic missile program or its role in wars in Syria and Yemen, and does not permanently prevent Tehran from developing nuclear weapons. A senior U.S. official close to the process said France, Germany and Britain had moved significantly to address Trump’s concerns over the ballistic missile program, the terms under which international inspectors visit suspect Iranian sites, and “sunset” clauses under which some terms of the deal expire. But it was not clear whether those efforts had made enough progress to persuade Trump to stay in the pact. Germany and France on Monday vowed to stand by the 2015 nuclear deal between Iran and world powers even if the United States pulls out. Volker Kauder, head of Merkel’s conservatives in parliament, said continued dialogue was needed to avoid isolating Iran. “That would only further exacerbate the situation in the Middle East,” Kauder told reporters in Murnau, where Merkel and other leaders of the coalition government are gathered for a retreat. Andrea Nahles, head of the Social Democrats, junior partner in the coalition, also warned against a U.S. decision to withdraw from the accord. “The situation is more difficult than ever. Things are falling apart at every corner,” she said.